← Space system “Shuttle,” part of USA’s nuclear attack arsenal? Figure 2 from Vidal, Góffe & Arndt (2013:896) shows the demand of some raw materials based on WWF’s prediction for wind and solar energy production reaching 25 000 TWh by 2050. Open and closed symbols correspond to different volumes of raw material required to construct different types of photovoltaic panels. It is well known that there is no such thing as a free lunch. However, it is somewhat less known that there is no such thing as free energy, either. Despite all the hoopla about new renewable energy sources being “free” and “practically unlimited” in a sense that no one owns the Sun nor the wind, the fact remains that in order to harness these energies, we need an immense construction effort. 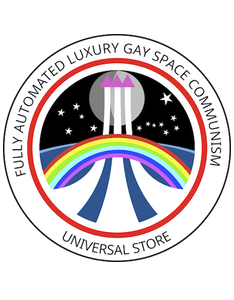 This, unfortunately, is neither free nor unrestricted in the material sense. As the above graph taken from a recent study commentary by Vidal, Goffé & Arndt in Nature Geoscience (2013) shows, projected renewable energy deployments would very soon outstrip the current global production of several key materials. 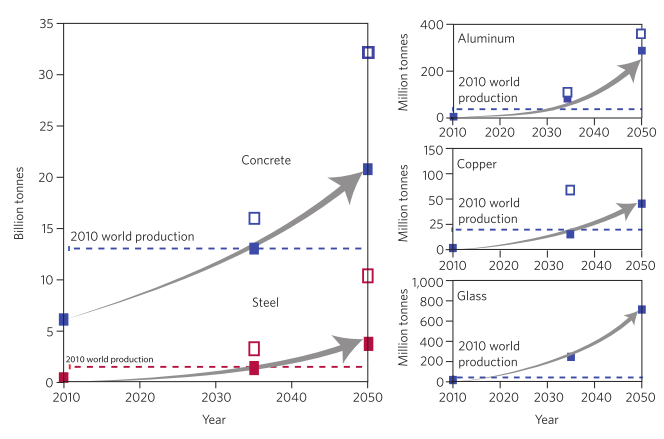 By the author’s estimates, if we are to follow the lead of renewables only-advocates, renewable energy projects would consume the entire annual copper, concrete and steel production by 2035 at the latest, annihilate aluminum by around 2030, and gobble up all the glass before 2020. Certainly, material efficiency can improve greatly, substitutes can be found, and production can be increased. Nevertheless, the scale of the challenge is nothing less than daunting: the authors also provide a handy overview of material requirements per installed capacity, from which I calculated a range of figures for energy production. In a very real sense, these materials can be thought of as the “fuels” or “consumables” of renewables. Without doubt, many of these materials can be recycled to an extent, but the required volumes inevitably mean that any substantial increases in renewable energy generation require corresponding increases in virgin production. Furthermore, not everything can be or will be recovered, and in any case, building the infrastructure for renewable energy generation will sequester huge amounts of steel, aluminum and copper over the lifespan of the generators. But wait! Aren’t I forgetting something, namely the fuel that nuclear fission uses, and the huge underground caverns required for the disposal of the waste? 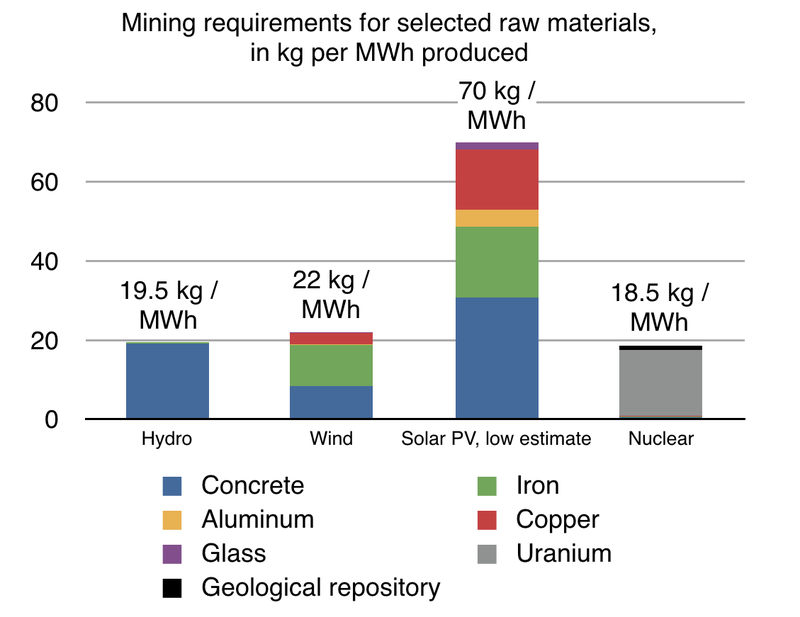 Indeed, so here’s the second graphic of the day: the rough estimate of mining requirements for various energy sources, per megawatt hour produced. Calculated after Vidal & Arndt (2013) and various sources for mining requirements. Uranium mining is assumed to take place at the poorest primarily uranium-producing mines (ore grade 0,1%); other materials are computed using average ore grades and average recycling levels (30% for steel, 10% for concrete, 22% for aluminum, 35% for copper). Geological repository mining requirements are estimated according to Posiva reports. You may note that nuclear energy’s estimate – and that’s what these are, estimates – is dominated by uranium mining. I deliberately used the low-end value for uranium ore grade, and omitted both In-Situ Leaching and byproduct mining operations, which would decrease the mining requirement considerably. In fairness, I did the same for other materials, although some appreciable amounts of iron and copper are recovered from byproducts. I also omitted the high-end estimate for solar PV, because that would have messed up the graphic: the total runs to staggering 611 kg of mining operations per MWh produced. The figure is likely to be biased in favor of renewables, as I’ve omitted rare earths from the discussion. As shown in e.g. Öhrlund (2011), rare earths (metals used in e.g. permanent magnets and in solar photovoltaic panels) may pose a bottleneck for renewable expansion. Mining these relatively rare (hence the name) elements is a messy business, which could very easily greatly increase the “materials backpack” renewable energies have to carry around. Furthermore, the figure does not account for backup power systems, grid expansion or energy storage – all of which are significant building projects that are especially important for renewable energy. Öhrlund, I. (2011). Future Metal Demand from Photovoltaic Cells and Wind Turbines – Investigating the Potential Risk of Disabling a Shift to Renewable Energy Systems. European Parliament, Science and Technology Options Assessment. Brussels. This entry was posted in Ecomodernism, Infographics, Scarcities and constraints and tagged Constraints, Energy, Graphic of the week, Nuclear, Renewables. Bookmark the permalink. An important reminder “renewables” refer to the energy source being converted to electicity, and not the materials required to build the machines needed to do the conversion. There are major flaws on the graph. The amount of concrete assumed for PV is ridiculous. The overwhelming majority of PV are assembled to roof tops of existing buildings. Those figures only could apply to PV-farms on ground. And where is the vast amount of concrete and steel used for building nuclear plants? Actually PV is doing well on that respect if looking at here: http://thebreakthrough.org/index.php/programs/energy-and-climate/nuclear-has-one-of-the-smallest-footprints/ as you have obviously done already. Rooftop solar would indeed require less concrete, but rooftops are a scarce resource, if the goal is to produce more than marginal amounts of energy from solar. Yes, what you need to realize is that while a nuclear power plant does require a pretty large amount of concrete in a single place, the thing is that for renewables (wind & photovoltaic) the sheer amount of modules that need to be installed to generate the equivalent of one nuclear reactor is HUGE (e.g. ~3000 wind turbines@2MW to create the equivalent amount of electricity as Olkiluoto III will produce. )… but this will be scattered pretty much all over, so you probably don’t realize it first. Nevertheless, it’s instructive to redo the calculations using higher recycling percentages and postulating that solar PV does not need any concrete at all. At the same time, we can extrapolate some trends of nuclear power, include CSP, and add coal as a comparison and as the principal enemy that, I feel, everyone interested in the environment or human prosperity should unite against. The cutoff ore grade, where the uranium mining requirement is less significant than geological depository requirement (currently ca. 1.1 kg/MWh) is about 1.5-2%. Even at the ore grades more typical at dedicated uranium mines (often around 0.7% U), the total kg/MWh value for EPR-type nuclear power falls to around 4.3. For fast reactors, concrete and steel use per MWh will probably be somewhat lower, and both uranium mining and final disposal requirements will fall at least 90%. For dramatic decreases you could add seawater extraction of U thought that’s still in the research stage. Also, it would be interesting to know how the picture would change if Th were the fuel of choice. Yeah, when we have to enrich uranium to 4 percent and when uranium ores are fairly poor, there’s quite a bit of mining activity involved. For reactors that run on natural uranium or thorium, a rough rule of thumb might be to divide the requirements by 5 to represent lack of enrichment. First I want to address the question of how much resources it takes to produce PV panels. The numbers here are not at all accurate. If they were then the panels would cost a fortune with now. Second, concrete is about to be replaces by a few dozen better technologies that use far less energy to produce (some of which are already being used today). As for “using all the glass on the planet”.. how? It is one of the most recyclable items that exists and it is made from silicon (sand or rock), which is the single most plentiful element on the earth. To “use it up” you would have to reduce the entire planet (down to the core) into nothing. As for the ongoing interest in a nuclear energy solution. It would be nice if there *were* a simple solution. Unfortunately in this case we needed an entirely new energy infrastructure, as well as a petroleum free industrial infrastructure (most petroleum is not used for energy production) & we needed it to be fairly complete and tested before 2003. We need it to be at least half rolled out last year. At the moment we don’t even have the new technology. We have no way to make the medications, industrial materials, specialized chemicals, the vast quantity of plastics (literally millions of types items) that currently *all* come from crude. We had over 30s years of warnings. Unfortunately in this case “Nero” was more worried about “photo-ops” and “spin”, “quarterly reports”, “golden parachutes” and “ideology wars” than in doing anything useful, so “Nero” sat on his hands and wallowed in his own crapulence while his corporate buddies continued to set fire to Rome. There ain’t no such thing as a free lunch. Out entire world is built on a set of complex industrial technologies which *ALL* require an unlimited supply of inexpensive and easy to obtain petrochemicals. That includes all the items to to into building a nuclear plant, including the safety dear that people wear (plastic), the computers that run the facilities (plastics and chip manufacturing) and the list goes on and on and looks depressing. Of course the one other *big* problem with the nuclear issue (aside from a 250,000 year necessity for uninterrupted power and perfect containment for the spent fuel rods for every plant) is having the needed type of uranium. I love science. I wish things were different. Yes there are some other plant designs (like breeder reactors) but all the ones with any longer term promise are also either very experimental are they are very dirty. The French have a lot of breeder reactors and they also use a tiny fraction of teh energy per person that US citizens do. They also have a lot of problems with the fact that they use those reactors (ones they can;t figure out how to address – the safe transport of radioactive materials, large quantities of low to mid level waste, etc). And no matter where we turn we still wind up back at Uranium (even THORIUM reactors need to start with yellow cake earlier on). Speculations as to what nuclear power can do are all based on using lots of high quality yellow cake in perpetuity. All the number crunching i based on this becasue it is all people have ever done (anything else is highly speculative guesswork). The problem is that this ore is in very sort supply. I have been reading some rather ‘fascinating’ (fraudulent) announcement from the IEC regarding the use of tar sands and fraking far into the future. They are now claiming we can all have an endless future of upward spiraling petroleum use and production FOREVER using what is always going to be a limited resource. They seem to think that “more” means you will have ways HAVE more. They don’t bother to mention that everyone but the USA has had far less production and the US can only keep this up for about 6 to 7 years because – as I said to my daughter…. When to comes to energy inputs needed to get energy out, both fraking and tar sand deposits will be passing the “1:1” mark in under a decade … even if they get free access to the Arctic. Nuclear has a similar issue… access to high end ores. But lets all pretend their are unicorns and ignore this for a moment. *IF* we presupposed high end ores, then the total energy INPUTS (mining, refining, production and enrichment of fuel rods) do look functional (unless you count cleanup and health impacts). – and when you add in the long term cost of storing and cooling your spent rods for 250,000 years, the picture changes. 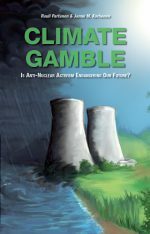 – It also changes when you note that all the initial inputs (the entire nuclear industry itself) REQUIRES petrochemicals – in both fuel and manufactured items. The plastics in the wires require crude The computers require fuel. The mining vehicles (which are huge and energy hungry) require petrochemical fuels. Nuclear is a complimentary energy source at best. It requires a base of cheep crude to keep it going. When it comes to energy use mining, refining and enriching is very expensive…. which means that the industry is more about concentrating energy production near the locations where it is used, than it is about making MORE energy than you had to begin with. This is made vastly worse once the high end ores are gone. Even if you didn’t run out of those ores, what will you substitute for the petrochemical based fuels that run the house sized vehicles needed to run the mines? The numbers used by fans of nuclear all act as if we don’t *have* an issue with fuels for the massive mining machine vehicles, or a need for oil to make all of the vital items (like plastics, solvents, etc) that are only made from petroleum … or for that matter that we need another energy system just to run the large cooling systems (right now it is conventional gas generators) that are used to cool the spent fuel rods .. and can NEVER go offline or the water evaprates and the rods catch fire… and you need that to work perfectly for 250,000 years. And we still have the ore issue. Once the high quality ore is gone (and if the world goes nuclear that will take well under a decade) the cost of enrichment will go up astronomically and it will no longer be a system in which you GAIN energy. Thanks for your long and detailed comment! The numbers used here come from the peer-reviewed commentary at Nature Geoscience. I’ve personally checked wind power lifecycle calculations and believe that the figures are fairly accurate. It’s true that solar PV may benefit from significant efficiency improvements, but on the other hand, these figures do not account at all for what may turn out to be a very, very significant materials sink: the storage of energy and its transmission. Therefore the numbers are, from the start, slightly biased in favor of renewables. The numbers refer to total annual production of selected materials. It’s not the case of running out of materials, as such; rather, it’s a case of having to devote significant amounts of material, and associated financial and environmental impacts, to energy generation. On one of the comments, I already redid the calculations using very optimistic estimates for recycling. I agree that there are no simple solutions. However, you seem to a) believe that nuclear energy system would require significant amounts of fossil fuels for its operation, and b) ignore that alternatives are likely to demand even more. The amount of material moved per unit of energy produced is a fairly good proxy for liquid/gaseous fuel demand for each energy source; as you can see, nuclear compares quite favorably, even if we completely ignore demands from e.g. energy storage and grid stability. Furthermore, it’s fairly easy to envision a nuclear energy cycle that would be almost completely independent of liquid fuels. One may mine uranium or thorium using tried and tested narrow gauge track mine railways, then transport the ore to refinery and enrichment plant using railways, and build a railway track to the nuclear power plant. All these tracks can be very easily electrified, and in fact already often are. Compared to this, it is very, very difficult to envision a supply rail track connecting each and every distributed generator in a wind farm, say. If you’re saying that we cannot sustain our civilization at all without currently available supplies of fossil fuels, well, you’re entitled to your opinion. I agree that the transition will be difficult, but even now we have fairly good alternatives for moving most of the transport and even chemicals manufacturing to a more sustainable base. To pick just one example, methane production from atmospheric CO2 and water will probably be possible at around $100 per barrel-equivalent in 10-20 years. It’s not cheap but it’s doable, and methane will run vehicles of any size fairly easily; just a few days ago, one Finnish shipping house announced that it will transition entirely to methane (LNG)-powered freighters in the near future. Of course, these alternatives require more primary energy to be added, when compared to almost-free lunch from fossil fuels. Nuclear waste is a political, not technical problem. In the U.S., there have been a variety of good and very good proposals (if we use a reasonable criteria for risks), but politics seems to gain the upper hand every time. While it’s impossible to be absolutely certain that leaks will not occur, it’s fairly possible to place major negative impacts “beyond reasonable doubt.” That’s before we even consider fast reactors, that have been repeatedly demonstrated and used all over the world for the last 30 years, and could be used to transmute and burn up most of the long-lived actinides. And when we compare the risks of nuclear waste to risks of not using nuclear as a part of climate mitigation and fossil fuel reduction strategy, it’s very clear where we should direct our attention to. I also believe that you’re mistaken on the ore issue. Uranium is currently so cheap that it does not encourage prospecting, and there are estimates that suggest the global uranium reserves are likely to be 10 times larger than currently known. Uranium isn’t exactly rare, and given its huge energy density, it’s energetically profitable to extract even from poorer deposits. With fast reactors, producing uranium from average crustal rock would be net energy positive – by a significant margin. The ultimate cap on uranium price will, however, be put by the price of seawater extraction. Current experiments would probably scale up at a price about three times today’s uranium prices. That would mean a minuscule increase in the cost of nuclear electricity; and it’s fairly good bet that current experiments do not represent the ultimate achievable efficiency in uranium capture. The supposed 2013 study base their PV figures on a 1995 Japanise study. So you can divide them by 4 or more (much more efficiency now, almost no concrete is now used in the ground mounted plants, all metals consumptions have been divided by at least 2). I’m afraid you may be slightly mistaken. While the “high estimate” may be based on older data, the low estimate (which I refer to in the text and in the graph) is based on a Spanish 2009 study (Perpignon et al., in Progress in photovoltaic research and applications) that uses a 2005 study as a basis for energy requirement for PV module and even then adjusts that estimate downwards. The reference can be found from the supplementary information to the Vidal & Arndt paper. In light of e.g. IPCC 2014 median estimates for solar PV lifecycle CO2 balance (ca. 41 gCO2/kWh) the figures I use seem to be fairly representative – in the right ballpark at the least. But if you have better data, please do present it so that I can make necessary corrections. no we don’t! SuperPhenix was closed under the pressure of the Greens. Phenix was close in 2009 (end of life after 35 years). ASTRID is still on the drawing board. We use PWR for >75% of our electricity. Breeder technology is now in Russia: BN-600 and BN-800. Thanks for the clarification, you are of course correct. GE-Hitachi is also selling the PRISM reactor, but none have been ordered so far. Nuclear has a very small CO2 impact. And solar is only viable with subsidies and back-up, usually fossile. Both have huge impacts. Unfortunately the data I have here does not really allow for a “middle” estimate to be made. The average of high and low values for solar PV would be 340.5 kg total. However, since I believe the high value for PV is far too high, this would probably be quite misleading. I think the nuclear estimate is fairly good “representative case” for situations where uranium is recovered as the main product in a mine. It’s not entirely clear how one should account for byproduct recovery, as is done in e.g. Olympic Dam mine – there the major earth-moving operations would be done even if uranium were not recovered. Nevertheless, one should bear in mind that these are highly simplified calculations that are only meant for illustrative purposes. Actual footprints may vary significantly. Alright then. It’s a fair work you’ve made nevertheless and I thank you for it. What you thoughts about this article? That”s another take at the same issue, and the conclusions are broadly similar. I do take issue with the graphic design though – bar graphs are far more informative and easier to compare than area-based measures used there :). The amount of uranium needed for nuclear looks way off, looks like 3 orders of magnitude. Per the WNO website (http://www.world-nuclear.org/info/Economic-Aspects/Economics-of-Nuclear-Power/) 8.9 kg of U3O8 yellowcake yields 1 kg of U fuel which provides 360 MWh of energy, or 0.025 kg/MWh for mined U ore. Much less, of course, if fast reactors are used. That’s for yellowcake, while the graph attempts to estimate mining footprint. In the graph, I assumed that uranium is mined from deposits containing 0.1% U. In other words, one needs to mine 1000 kg of uranium ore at grade 0.1% to produce 1 kg of natural uranium. This is further enriched to reactor fuel. Uranium mining from ores containing only 0.1% uranium is not that uncommon, and the poorest deposits currently mined go to 0.03%. Of course there are much richer mines as well, Cigar Lake topping the list at 24%. But I thought that would be fairly representative and not overtly biased towards nuclear. Of course, actual footprint mining causes for the environment depends on the mining method as well. In-Situ Leaching is in many ways much more benign method. However, similar objections can be raised against other figures in the graph as well – which is okay because the objective was only to make a rough estimate of the scale. Thanks for clarifying the way the uranium figures were derived. I didn’t catch that from your post. So does it also account for the fact that only 1% of the fuel is used when spent? Also, are other elements required calculated the same way? For example is aluminum usage based on the amount of bauxite required? Yes, it does account for the low burnup in current light water reactors, and I tried to calculate other material inputs in a similar manner, starting from ore and other raw materials – the goal was to obtain a sketch of how large mining operations each energy source might require. As noted, this is not exact science but more or less a rough estimate – one reason being what Andrew mentioned above, that uranium (and many other metals in fact) is often recovered as a byproduct. I’ll have to dig the spreadsheet up and polish it a bit to make it understandable. Might take some time though as I’m super busy with actual work I ought to be doing :D.
It is not even possible to build “the equivalent of an 1100 MW nuclear reactor” in solar panels or wind turbines, If you give both the highly optimistic production factor of one third, then 3000 MW of these “renewables” will produce in a year the same amount of energy as such a reactor at the usual production factor of 90%. But whereas the reactor will fully support a base load of 1000 MW, the wind and solar WILL NOT. If you had additional energy storage that can be “charged” at a rate of 3000 MW of power, and additional means to supply 1000 MW of AC electric power from the energy storage, than it might be considered equivalent. But examine the statistics of hydro pumped storage. The quantity available has not been increasing even at the rate of wind and solar construction, and it is quite environmentally scarce and destructive. About “renewables” recycling: The thing that gets my goat about wind turbines is the utter lack of any insistence that they clean up after themselves, especially the bloody great concrete footings. The day is going to come when Gen IV nuclear makes all intermittent “renewable” energy manifestly worthless (In my opinion, they already are). Then all that beautiful mountain and moorland is going to be cleaned up at public expense, or left in its horrid ugliness, just like the Appalachian valleys into which the mountainsides have been dumped by open cast mining for coal. I looked at Vidal & Arndt when it first came out, and found that their numbers for nuclear were seriously overstated, AND (even more important) not supported by their cited references. The uranium numbers above are one obvious instance; in fact there is about 50x-100x more steel in a nuclear reactor (by mass) than the total amount of uranium it will use in its lifetime. Better numbers can be found in the DOE qudrennial energy review (which is in turn based on data from Argonne National Labs GREET database); and (to a lesser extent) Weissbach et al. 2013. Thanks! I’ll take a look at those when I have some time available. Though I don’t consider Weißbach et al. particularly credible source – they used very old data for solar PV and I can’t but help to think they may have done that on purpose.